Several years ago, I tried to make an authentic mole. This is a Mexican sauce—like many others—with no set list of ingredients. Basic ingredients include chilies, fruit, some kind of seeds or nuts, one or more herbs and/or spices, and frequently chocolate. Just about every family, in Mexico and beyond, has their own variation—some with as many as 30 ingredients. A bag of molé has been living in my freezer for months. I wanted to do some barbecued chicken for this Sunday’s dinner, but I did not want it to be the same old, same old. 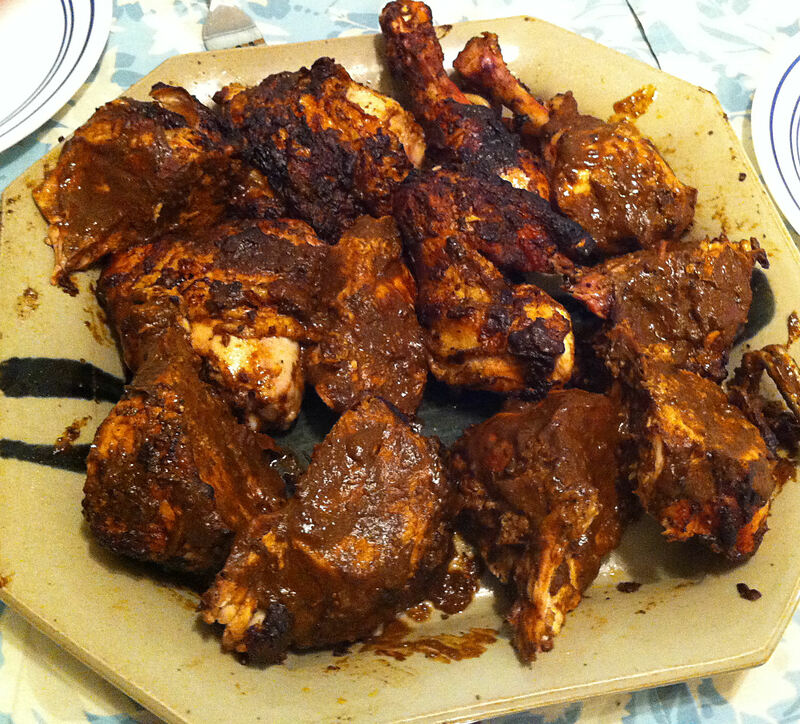 I thought using the molé as a barbecue sauce was just the ticket. 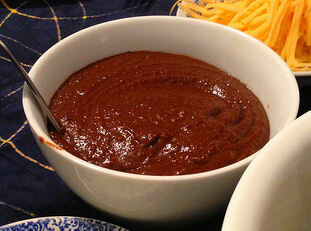 When I go to all of the effort to make molé, it is such a production that I always make enough for more than one meal. When the meal is done, I package up 3 or 4 quart bags of the sauce ready to add to a quick weekday meal. 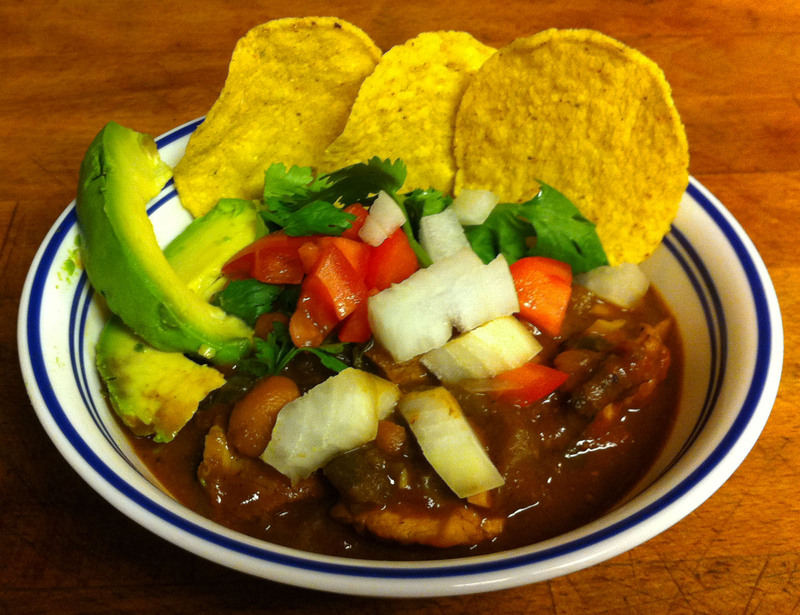 Jan asked for chicken molé for dinner one day this week. Jan and I were watching Triple D and one of the featured restaurants was a Mexican place that always has 15 different moles. Jan loves mole and the show expanded my mind on what was possible in the way of mole and how to use it. 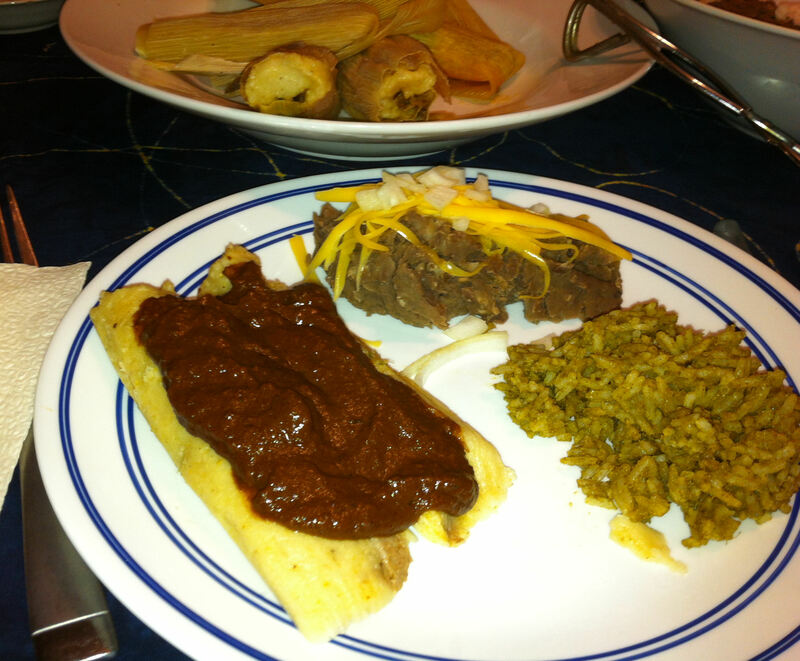 One of their signature dishes was tamales with mole. 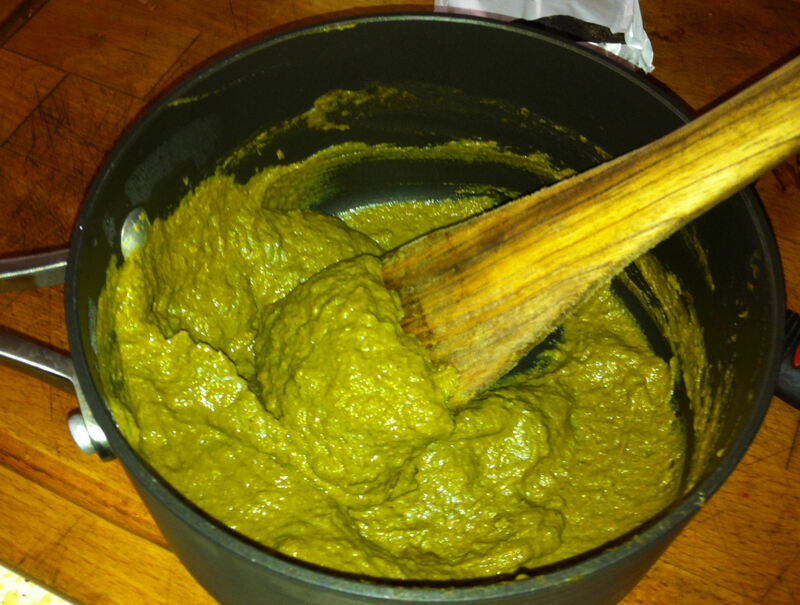 A few months ago I had tried making molé for the first time, based on a recipe by Ty and Juels. This was one of our Sunday challenges before I started writing this blog. 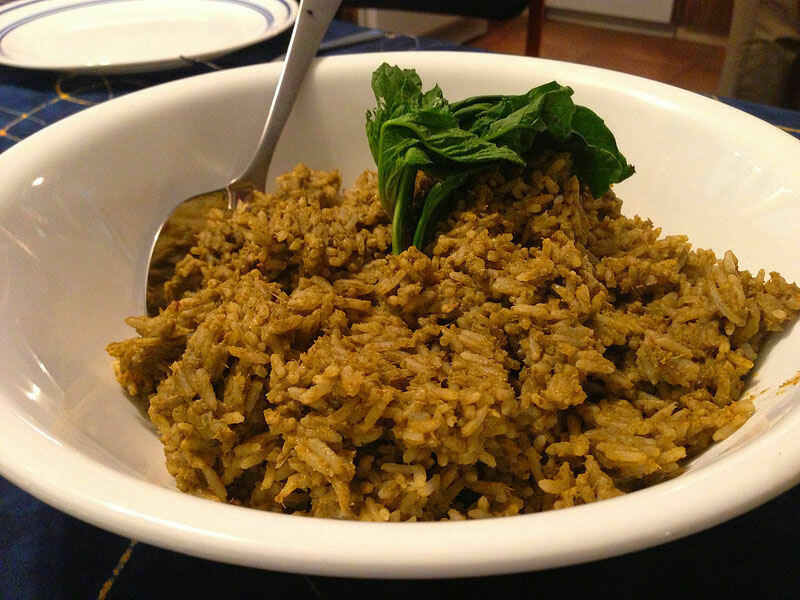 I found Ty’s recipe, but I could not help myself, I had to make some changes. That is just the kind of cook I am, I even have trouble following my own recipes. I rarely make the same dish the same way twice, I am constantly tinkering.